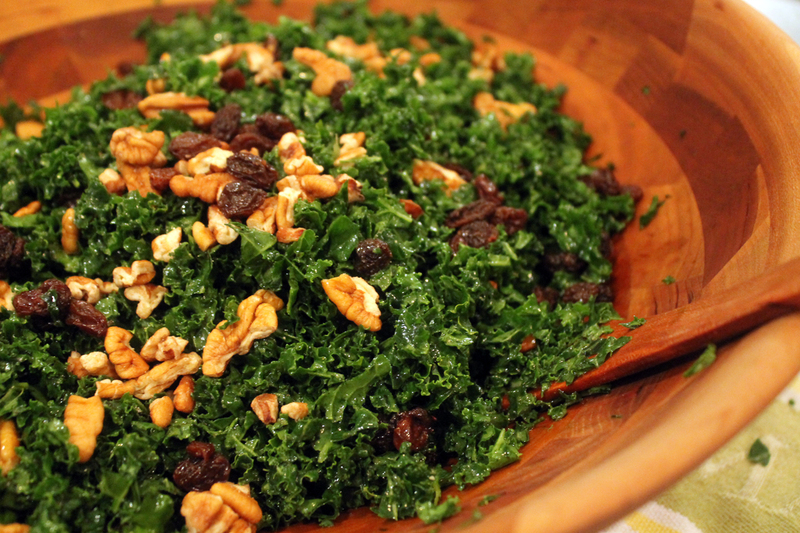 How do you really feel about kale? If you’re making a bitter face after reading that sentence, I understand. The No. 1 complaint I hear about kale is that it’s soooo bitter. And you’re right. Eaten completely raw the stuff is absolutely disgusting. There, I said it. But when kale is properly prepared, that bitterness mellows and can even (dare I say) turn slightly sweet, and that, my friends, is when kale becomes absolutely delicious! If you take nothing else away from this post know this: Eating healthy does not mean force feeding yourself bitter green things. No one does that. Or at least no one does that for more than a day or two without coming back to reality. I’m here to tell you that there is so much more to kale beyond it’s bitter rap. The trick is just knowing how to prepare it. The darker the green, the more bitter the taste. But don’t let that scare you. Dark leafy greens are chock-full of vitamins, minerals, phytonutrients, chlorophyll and oxygen. They help detoxify, purify the blood, oxygenate your cells and can even lift your spirit. All these benefits and yet dark leafy greens have so many of us stumped. Once you know how to prepare them though, they’re easy to add to any meal. Now that we’ve appreciated bitterness for what it means nutritiously, let’s talk about how to get rid of it. Kale is a hearty plant with a tough exterior so that it can endure the harsh winter months. To enjoy it raw, you have to get it to soften, because behind that tough exterior is just a sweet vegetable. It’s all in the approach. And it starts with lemon. The acid in lemon counters the bitter flavor and helps to break down the leaves. 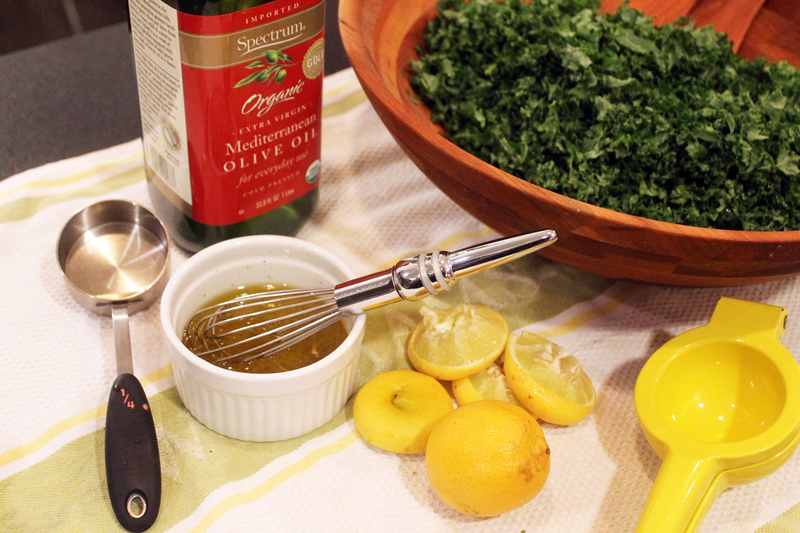 Combine lemon juice and olive oil in a 1:1 ratio and season with salt and pepper to make a simple dressing. 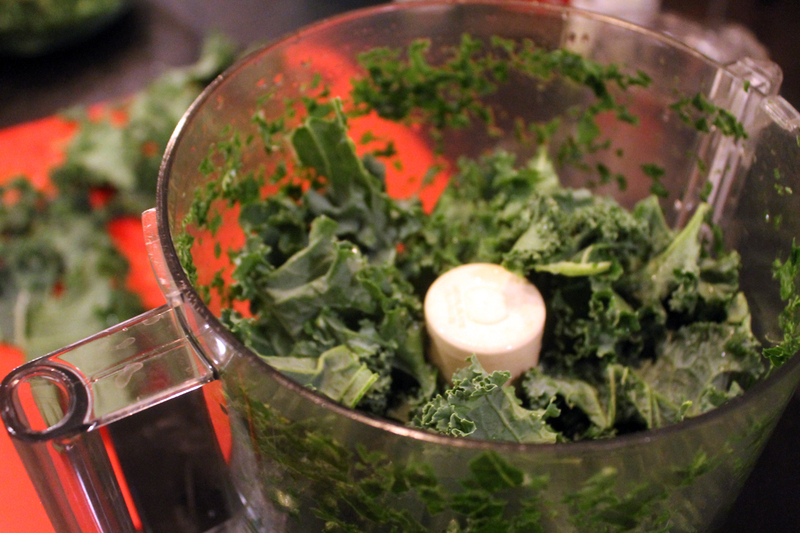 Pour dressing over the chopped greens and (this is the real trick) get in there with your hands and massage the kale. You read right… massage – deep-tissue style – both hands. in there. working it. This breaks down the cellulose structure of the plant so that it wilts and softens. Pay attention as you massage and notice the leaves turn a more brilliant green and shrink up a bit. 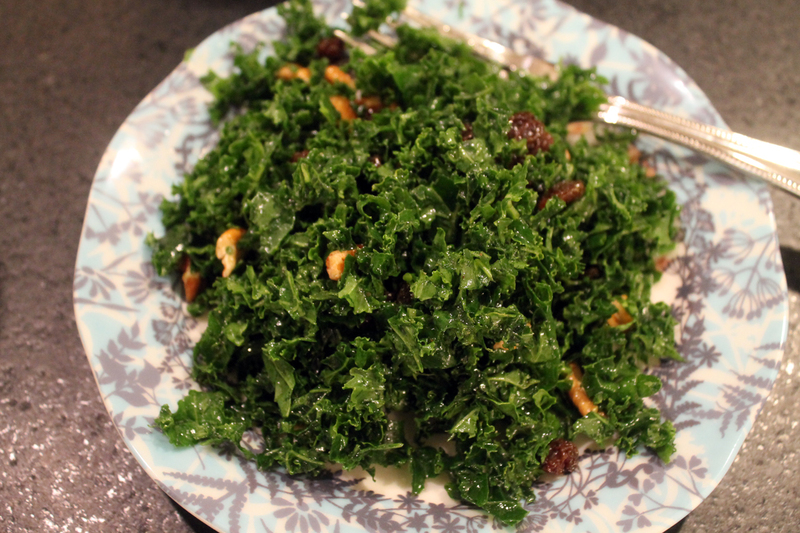 And just like that the kale is transformed from lawn clippings to a delicious salad…. Magic! 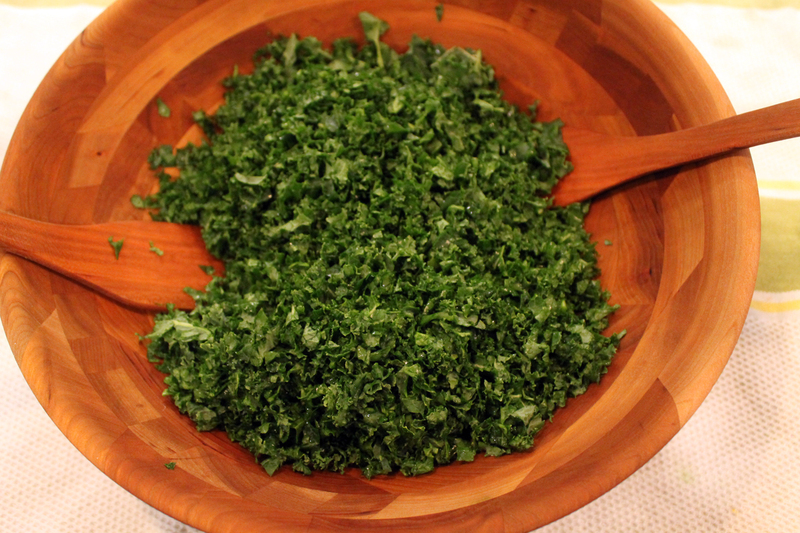 Wash kale well and tear leaves away from stem. Tear leaves into pieces and place in food processor or blender to chop. Pulse until finely chopped (you’ll have to do this part in a few batches). Transfer to a large bowl. Next, make the dressing. In a small bowl combine juice from lemons and EVOO. Season with salt and pepper and whisk well until combined. 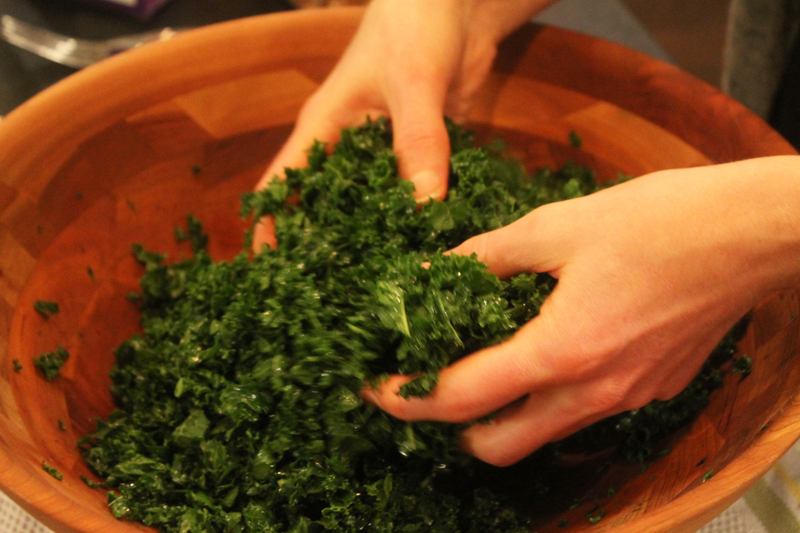 Pour over kale and massage the dressing into the greens using your hands. Mix in choice of nuts, fruit or other salad toppings. If kale still tastes bitter, add more lemon and continue to massage until no longer bitter. Excellent informative post! I myself never found kale bitter and like you said found that it turns slightly sweet. However recently I added some concentrated ‘cheese’ sauce to it and wow – it was more bitter than Karela/bitter gourd! I had to add a lot of dairy-free milk to it to make it more palatable and that’s coming from someone who liked bitter veg! Another great ingredient that will make a lot of people turn up their nose is raw, chopped Brussels sprouts. It really is good with the kale.